Elvis Presley was a watch enthusiast. He wore several watches in his movies and exhibitions but one of the timepieces that he was wearing more frequently was the Hamilton Ventura. He was first given a Hamilton Ventura watch to wear in the "Blue Hawaii" movie in 1961. Elvis liked the watch so much that he continued to wear the piece off set. As a tribute to Elvis, who would have turned 80 on January 8 of this year, Hamilton presented a new interpretation of its iconic model, the Ventura Elvis 80. The signature triangular shape of the fully integrated case (42.5 x 44.6 mm) is underlined by smooth brushed and polished surfaces. Its design was refreshed with more flowing contours, a steeply sloped anti-reflective crystal and a curved dial. 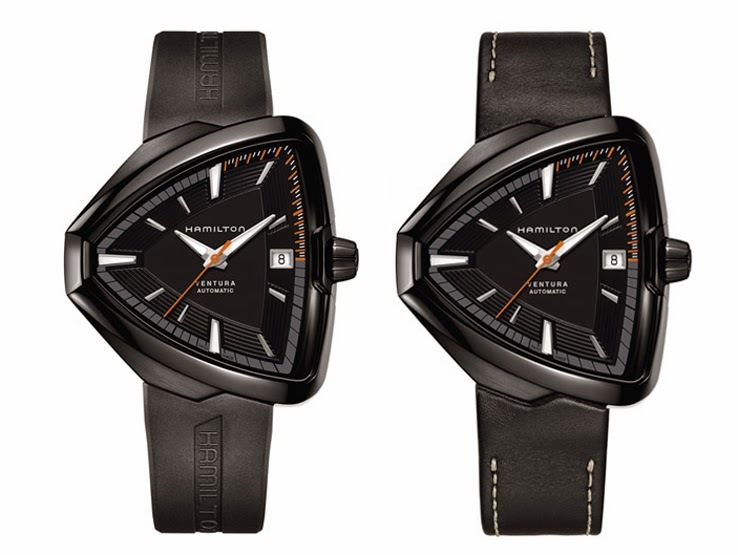 The Hamilton Ventura Elvis 80 comes in material and color combinations and it is possible to choose between automatic and quartz movement. The automatic version is recognizable for its PVD-treated steel case that can be matched to a sporty rubber or a leather strap with stitching. Developed with ETA, the H-10 calibre features an improved main spring which increases the power reserve to 80 hours. 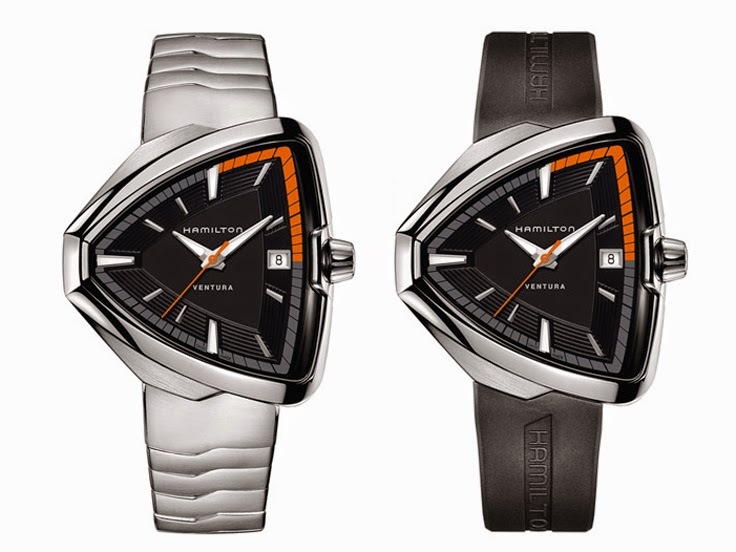 The indicative price of the Hamilton Ventura Elvis 80 Automatic is Euro 1,200. Agree. Not a fan of quartz movements but I definitely prefer eco drive quartz. I really hate the idea of having to replace the battery. Hamilton Ventura Elvis 80. 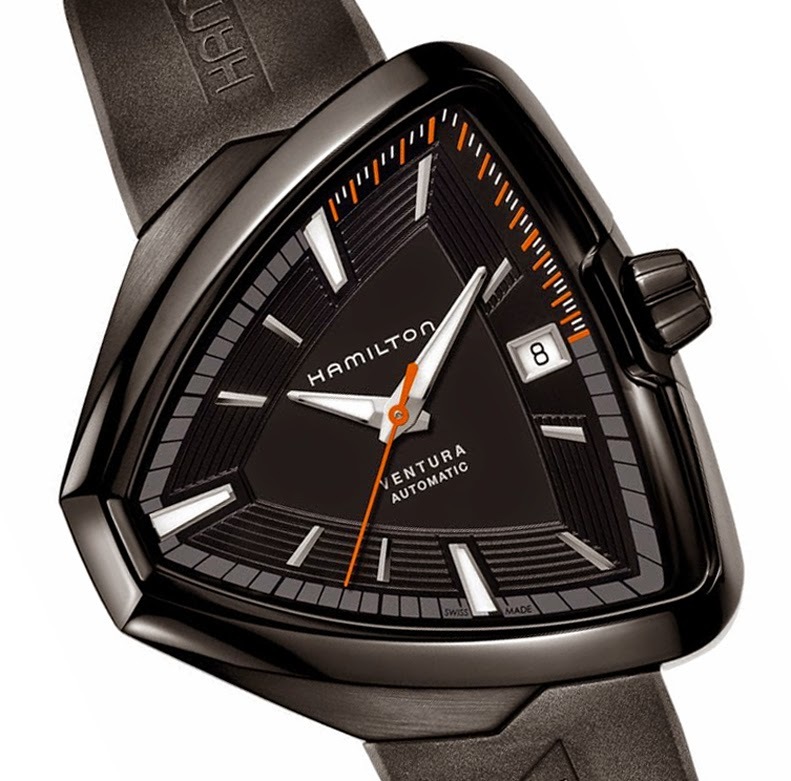 As a tribute to Elvis, who would have turned 80 on January 8 of this year, Hamilton presented a new interpretation of its iconic model, the Ventura Elvis 80. 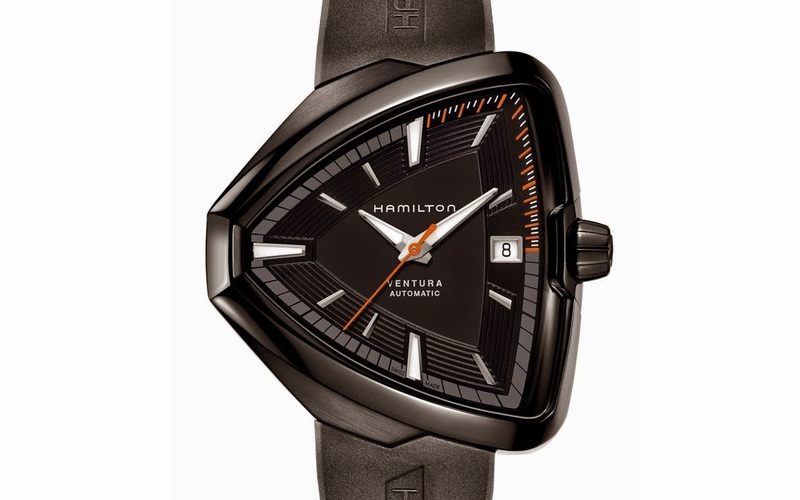 The indicative price of the Hamilton Ventura Elvis 80 Automatic is Euro 1,200.